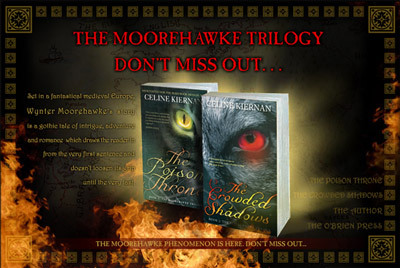 Celine Kiernan, author of the international smash hit Moorehawke trilogy, has just announced a competition: the prize is a signed copy of The Poison Throne (UK edition), a signed copy of The Crowded Shadows (our Irish edition) and a signed copy of the conclusion to the trilogy The Rebel Prince (the Australian edition). So what’s involved? Celine would like you to pick your ideal cast of actors to play Wynter, Christopher and Razi in a movie version of The Poison Throne: get your thinking cap on! All the details are on Celine’s blog. Entries close on 22 June and the winner will be announced on 2 July — so the winner will have The Rebel Prince in their hands MONTHS ahead of anybody else, as well as having a pretty unique set of books. It’s a great idea by Celine, and we are really looking forward to seeing the results. It’s great to get out there and meet real book lovers. And it was standing room only at the Crannog, John McEvoy’s independent bookshop, for the launch of Celine Kiernan’s The Crowded Shadows, book 2 in The Moorehawke Trilogy. Defying the recession, there was a long line of buyers – kids, grannies, mums and dads – with one businessman buying a hundred copies as corporate gifts. 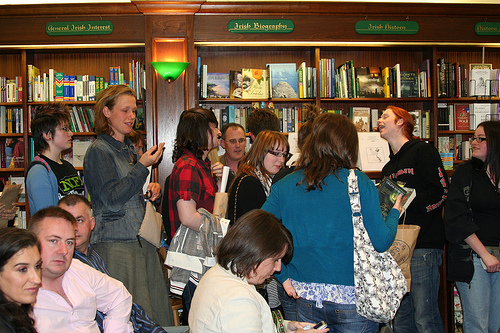 Celine was delighted to sign about 60 copies for her fans. We are thrilled to launch our updated MoorehawkeTrilogy.com microsite! The Crowded Shadows is hitting the shelves in a bookshop near you (in Ireland: those of you abroad are going to have to wait for your local publishers to release their editions — sorry!) so check out the microsite, read an extract and get hooked on Celine’s writing all over again. We hope you love the new covers as much as we do, and the early reviews have been really positive: so check it out! In the publishing business things tend to happen slowly, and in a certain order. A lot of the time it is easy for publishers to perceive rights business as a happy addendum to their main business (apart from those publishers for whom coeditions are a core part of their business model, but they are rare enough): publish the book for the home market first and then use the finished books to drive rights sales, using book fairs, the network of rights agents, websites etc to ensure that books get the best possibly chance of having a life in other markets: we have been very successful at this over the years, as our long list of foreign editions shows. As it is easier to sell from a finished book than a pre-publication description, this is usually the way we work. The majority of the time the revenue from volume sales will outweigh those from rights in any case, as many are small, but there are a significant number of cases where fights revenues, for author and publisher, are very significant — Brendan O’Carroll’s The Mammy has appeared in over a dozen foreign editions; Epic and Saga, for Conor Kostick; The Moorehawke Trilogy by Celine Kiernan; Eoin Colfer’s books — in children’s publishing these tend to be at the higher age levels, with titles for younger children so often met with a response of “we have our own authors for these books”, but even here there are significant exceptions: The Little Black Sheep sold over 250,000 copies in Japan! We have had one delightful little series that has bucked the trend in an unusual way: The Witch Apprentice by Marian Broderick was published in our Forbidden Files series a few years ago. Marian used to work for us, and it’s always fun to work with someone who has jumped the fence from editor to author, as they really understand the process — quite apart from practically being family! 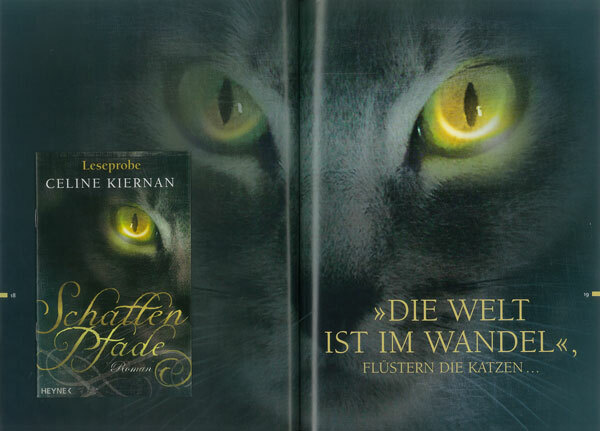 Anyway, we showed this at Frankfurt and it was well-received: so well that Bertelsmann said that they would take the book on condition that it had a sequel, shortly after which they asked for a trilogy! We had thought of it as a stand-alone, but they had a good point — it was more than that. We repackaged the newly-renamed Anna the Witch series when The Witch in the Woods came out last autumn, and now we are just about to produce the third and final installment: A Witch in a Fix. So a big thanks for Bertelsmann for seeing the potential in Anna and encouraging us to develop these books largely on the back of rights potential, and to Marian, Francesca Carabelli (the wonderful illustrator) and Helen Carr (the editor) for seeing it through to a finish! Well, the Irish Book Awards were last night, and a fierce glittering occasion it was too. Famous Seamus (Heaney) held the whole room enthralled as he presented Edna O’Brien with the Lifetime Achievement Award, while Ronan O’Gara walked up to the podium with a video of his drop-goal against Wales playing in slow-motion from five angles with epic celtic music behind it, before saying that, after last weekend’s match (Leinster vs Munster), he didn’t think he’d be back in this ******* city so soon again! The mood among the industry was very much “don’t mention the war” and it is clear that everybody is hurting badly in the Current Economic Environment. 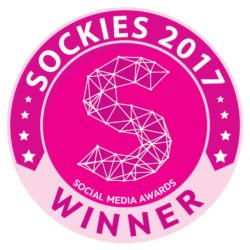 Still, we must all be doing SOMETHING right when you consider the quality and class of the nominees and the great spirit of cooperation and friendship that is undeniable on a night like that.